Browse our extensive range of duck houses with optional runs suitable for various breeds of domestic such as Campbell, Aylesbury, Call ducks, Pekin, Muscovy, Mandarin and also wild ducks and waterfowl such as Mallards, Moorhens etc. 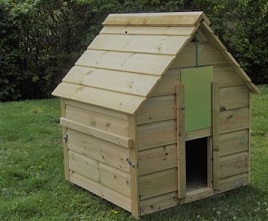 All our duck houses are made in the UK and are very good quality. manufactured from quality treated timber. All our duck houses are manufactured in the UK to very high standards and are built robustly. Whether you are looking to keep a few ducks in your back garden on a pond or in a duck house and run on the lawn or have a large lake with a flock of wild ducks, we are able to offer advice on keeping ducks and will help you choose the right duck house for your situation. Duck eggs are delicious and are a magic ingredient in cake making, check out our duck houses with laying boxes. We are able to offer free advice on poultry and duck keeping and will be able to guide you to a suitable duck house for your waterfowl and if you need help in choosing the right duck nest box, please call us for a chat. Our wide range of duck houses are designed to accommodate various different breeds of ducks and as duck breed sizes vary so much from the small Call ducks to the large Aylesbury ducks, we do not list a recommended number of ducks for each house, but if you would like advice on which size duck box you will need, please telephone us to discuss your requirements.